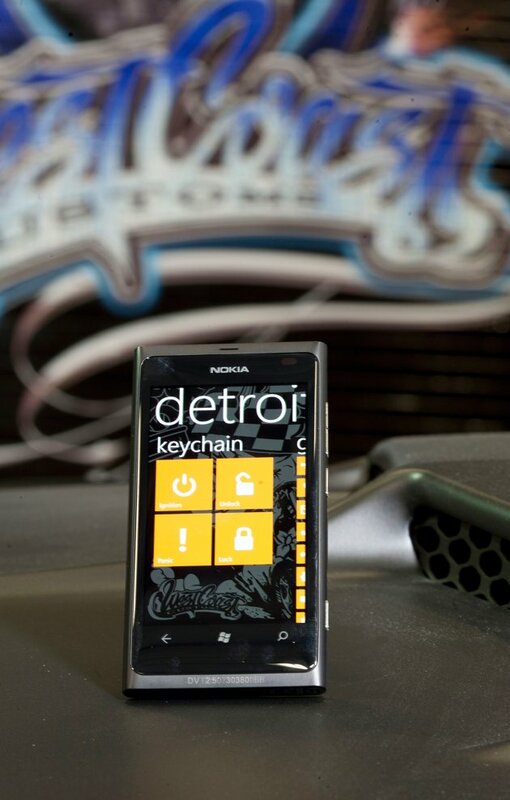 Project Detroit was created to inspire developers to think about building apps and automotive technologies of the future. 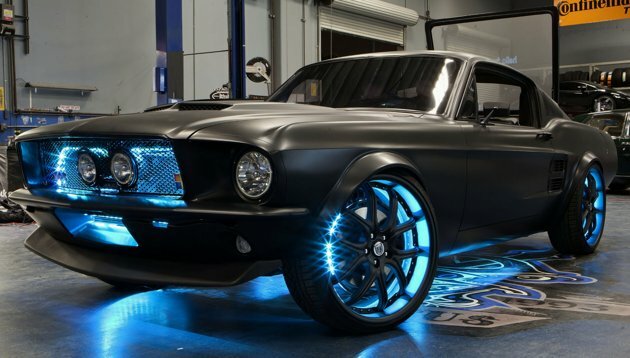 That's what the folks at West Coast Customs, working with developer evangelists at Microsoft, have put together for their television program, Inside West Coast Customs, which airs on Discovery's Velocity Network this Sunday at 9 p.m PT/ET. 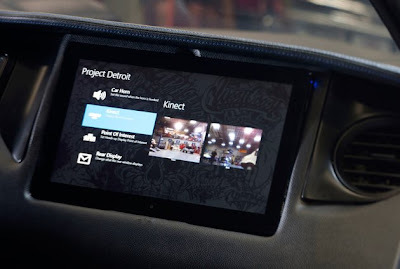 The idea, dubbed Project Detroit by Microsoft, was to create a car that showcases some of the cool things developers can do with Windows, Windows Phone, Windows Azure, Xbox 360, Kinect, and Bing. 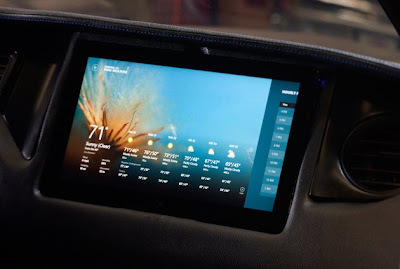 Swipe the touch screen instrument cluster to toggle between different dashboard skins, and use the tablet embedded in the passenger-side dash to surf the Web, or send messages that display on the rear windshield for other cars. Project Detroit features multiple touch screen, dashboard displays, including one on the passenger side. 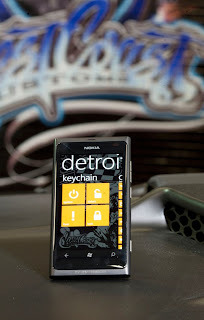 Project Detroit can be remotely located, unlocked and started all from the Viper SmartStart app for Windows Phone. 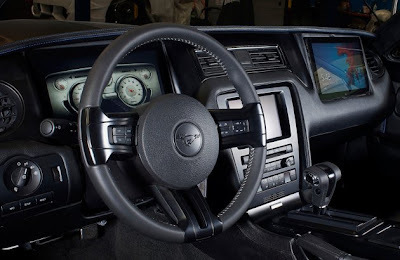 Project Detroit’s front and rear Kinect cameras transmit a live video feed of surrounding pedestrians and objects directly to the interior dashboard displays. 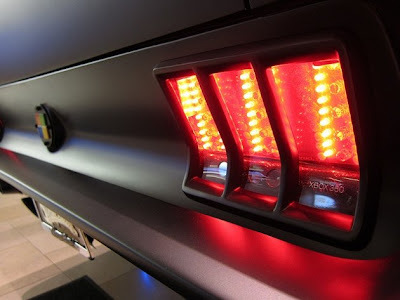 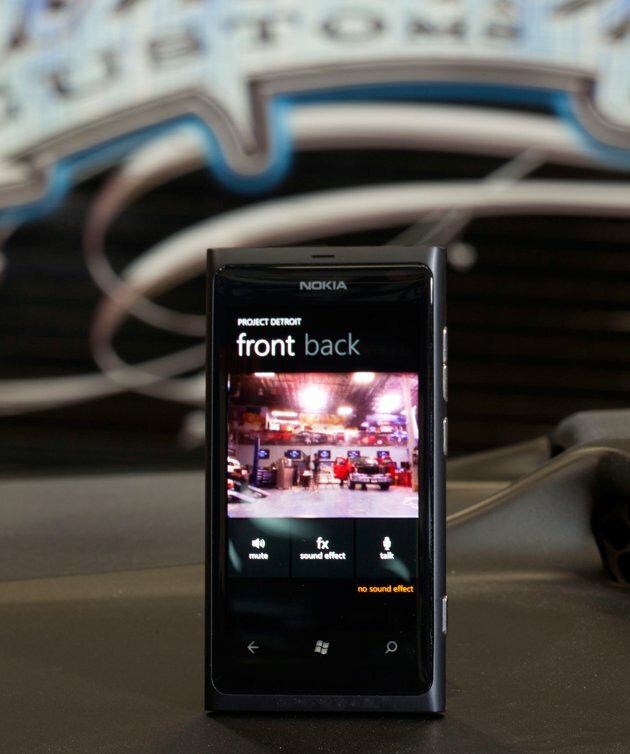 The Windows Phone becomes like a microphone for the car’s external audio PA system.